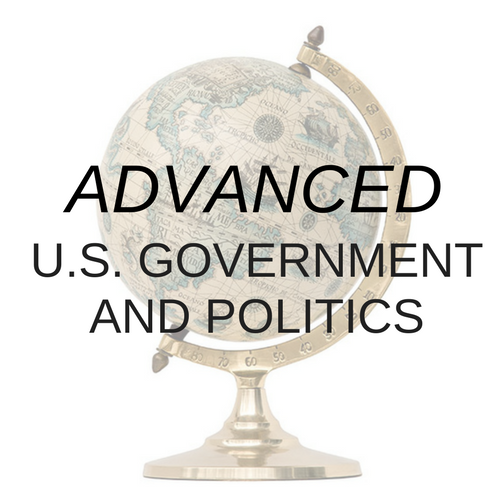 Advanced U.S. Government and Politics is a high school level course, adapted from college-level materials with a focus on the reality of politics and how it connects to the lives of students and American citizens. Categories: Fall 2019, History/Social Science, Teen Focus, Advanced, Fall 2018. Tag: Standard Semester. 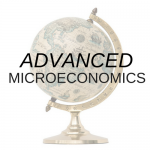 Advanced US Government and Politics is a high school level course, adapted from college-level materials with a focus on the reality of politics and how it connects to the lives of students and American citizens. The intent of this course is to counter any belief a young gifted learner may have that politics is too hard to make sense of and empower those youths to demonstrate how contemporary politics is relevant to their lives. US Government and Politics, a semester-long course, focuses on American politics in the present day, including the relevant outcomes and events in the lives of our students. The end goal is to ensure that students leave this class understanding how politics and government really work and how events in Washington affect their lives and the lives of friends and family. American Politics Today (AP Fifth Edition): Link to hardcover edition (an e-book version is available). This textbook is the latest revision of a text currently in use at respected universities across America. We have selected this particular edition for its inclusion of the new online study technology, InQuizitive. Please be very careful to acquire the 2017 one-volume edition ISBN 978-0-393-63093-0 with InQuizitive registration card so that your student will be able to fully participate in all aspects of the course (or equivalent e-book edition). We strongly recommend ordering directly from Norton to ensure you get the correct edition. Aimed at students ready for work appropriate to grades 11 through 12. 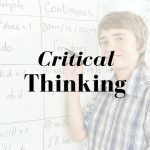 This is an upper high school social studies and civics course open to students ages 12 and up who are prepared to encounter and discuss challenging government and politics concepts at an accelerated pace. A History of US 1/2, Big History, or equivalent. Middle School American Government class recommended. Students must be prepared to read and analyze challenging material at an upper high school level. Students must also be able to write multi-paragraph texts independently and participate actively in written discussion forums and webinars.